Log-sided 3 bed/2 bath ranch with attached one bed/one bath guest quarter perfect for a rental or friends/family. Two covered porches and side yard deck. 24x40 garage w/ 11'9 x 14' workshop. 10 x 16 shed for additional storage. 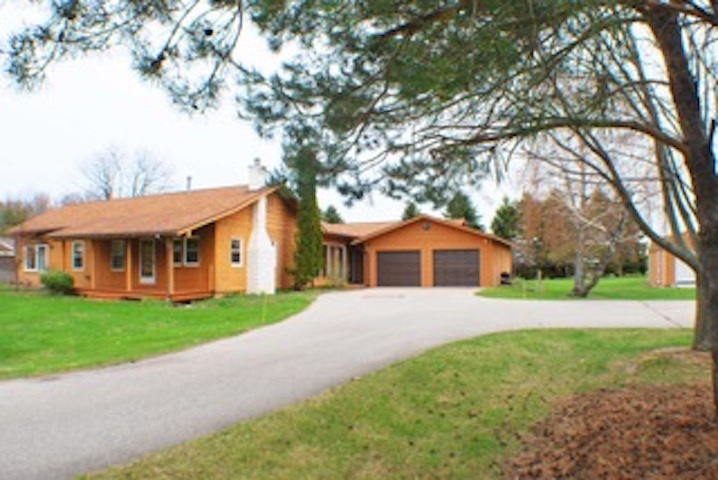 Close proximity to Petoskey and Charlevoix and Wheelway. New furnace in 2015. Updated kitchen. Storage everywhere. House has hard-wired generator. Paved driveway. Many fruit trees: cherry, apple and pear and perennials around trees.